One comfort food that has gotten a bad rap lately is pizza. It has been associated with obesity and a range of cardiovascular diseases, which can be detrimental to our health. It’s hard to imagine that pizza could be one of the healthiest foods you can order today, but feel free to do just that. The health benefits of pizza primarily lie in the methods used in its preparation. One of the key ingredients, for example, that require tact to boost its health benefits is the dough. The process of fermenting the dough reduces the phytate levels present in grains. Phytates are a class of anti-nutrients, which have been shown to lower your body’s absorption of most minerals. With a reduction of these anti-nutrients, your body is left free to grab most of the nutrients present in sourdough and pizza toppings and use them for your body’s wellbeing. Lactobacillus is the healthy bacteria present in sour cream, yoghurt, and buttermilk. During the fermentation process of sourdough, lactobacillus generates lactic acid which acts as a catalyst for the process. The lactobacillus feeds the beneficial bacteria present in your gut and boosts your immunity to bacteria, which might wreak havoc to your digestive system. Like other fermented food, sourdough contains a range of bacteria. These are the bacteria that promote positive gut microbiomes and are known as probiotics. Research has proven that most health problems are linked to an imbalance in the digestive system’s bacteria. Most people have hence opted to take probiotic supplements to balance their gut. You can save on the cost of supplements by getting pizza to deliver a healthy portion of probiotics for your gut’s health. People who have diabetes and others who are keen on reducing their sugar intake steer clear of bread. Pizza bread made from sourdough, however, will not spike your body’s sugar levels. This is because the glucose in the grains has been used up by bacteria during the fermentation process. Some research has also suggested that white sourdough bread aids in glucose regulation. Sourdough is entirely safe for those with gluten sensitivity. This is because its fermentation breaks down gluten proteins in grains into amino acids. Pizza might not be something you think of when considering healthy food. The above benefits, however, earn it a place among the healthy foods that should be part of your menu. Negative health issues in pizza are attributed to restaurants with poor quality ingredients and bad recipes. 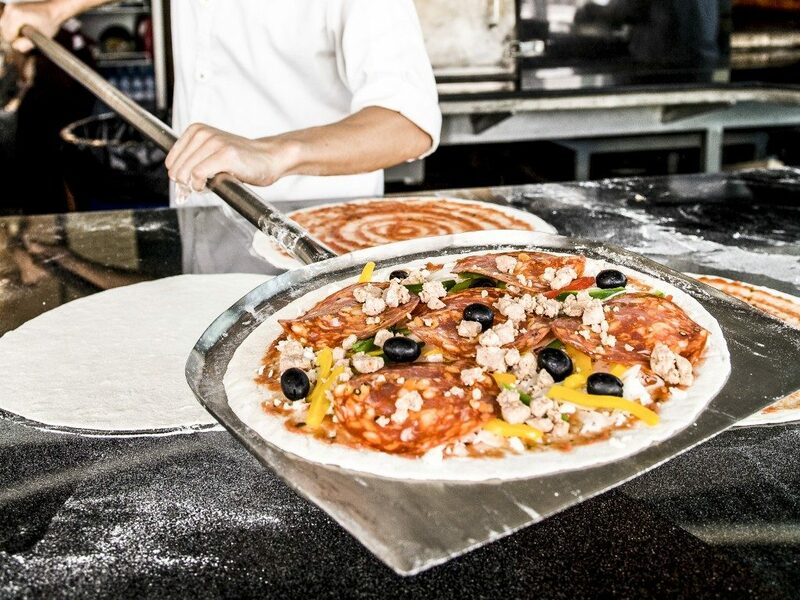 Provided that your pizza is from a reputable outlet with natural and fresh ingredients, you can reap the health benefits of this delicious food.